Listen to this lawyer so you can avoid this lawyer! Today on the BCP Show we talk with Alex Umansky. Employee rights issues can mean big problems for small businesses. Alex tells us the biggest mistakes he commonly sees as an attorney, and how to avoid having to face someone like him in court! ~Check out our feature in the October issue of ICON Advisor magazine! ~Still looking for a speaker for the first quarter of 2018? 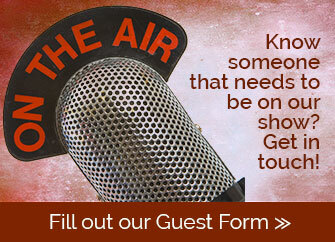 Reach out to us here or through the BCP Show App. We’d love to come talk to your group! Speaking of the app, if you don’t have it yet, head to the Google Play store or the iTunes app store, type in Blue Collar Proud, and get it! It’s the ONLY place to find bonus content, like our recent talk with Al Levi 022|082, author of The 7-Power Contractor. ~Our Blue Collar Proud Nation Facebook Group conversation of the week was started by Christian Devlin (095). He really speaks some truth about being remembered by your customers, so if you missed it, check it out. Reach out to Chuck at chuck@roydhouseeffect.com or visit his website to learn more about who he is and what he does. Phil Rogofsky talks with us about the 1st Blue Collar STEM Conference in Baltimore November 6th.